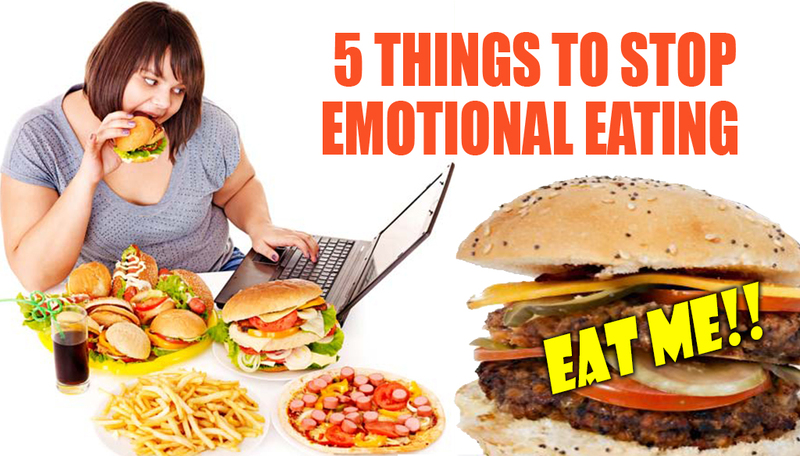 Emotional eating can really sabatoge your diet, and weight loss. Here are some tips, a few of which were seen on Dr. Oz. Hopefully this helps. 1. Be Aware. Much of emotional eating is so unconscious, become conscious of you emotioanl eating triggers. Pay attention to where or how you stress eat. Are alone, with friends, bored, etc. Ask yourself how physically hungry you are on a scale from 1-10. If you are a 6-10, it’s likely that you are physically hungry. A 3, for example, would signify that you are stress eating. 2. Make a list of foods that you will eat when you want to stress eat. Something like berries. They are good and healthy. Then when the urge hits you are ready. 3. Eliminate all fake foods, fast foods and highly processed foods. This includes soft drinks, refined white sugar and flour and any other food that is man-made, such as artificial sweeteners, colorings, flavorings and preservatives. These are not foods, just food products. They are foreign to your body and your body does not know what to do with them. It’s best to avoid them..